When your company is approaching the bottom line, marketing cannot be on the chopping block. By choosing SEO (Search Engine Optimization) as part of your online marketing strategy, you can save money and reap the benefits over a longer period of time than traditional Pay Per Click Campaigns (PPC). Paid advertising has its value but once the campaign is over your exposure is over. The paid billboard comes down, the magazine does not print your name any more, and stopping PPC means your presence falls from the top of the search results. SEO campaigns encourage slower and more sustainable grains than more traditional advertising approaches. Your investment can continue to show a great return even after the campaign has ended. Your company will be able to build trust with users, save money, and drive relevant traffic. Research shows that 81% of users find their destination through search engines and that organic results are clicked on 8.5 more times than paid results. SEO is not about being at the top of my list but being the best presentation on the list. Customers are becoming more savvy when it comes to search engine results. Organic results are more respected and trusted and as such, are starting to skip the top ads. Users know that just because you paid the most to be there, does not mean you earned the right to be. This will also bring you better quality leads. 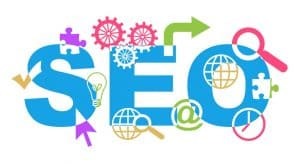 SEO has been proven over the years to be one of the most cost-effective forms of online marketing and delivers a higher return for every dollar invested. If you implement an effective SEO strategy, you can attract thousands of targeted users to your website. The ongoing effect that SEO provides is that it continues to build momentum over time leaving you to focus on other aspects of your company while SEO does the rest. Web traffic from an excellent SEO strategy has high conversion potential. Customers are more likely to purchase goods or use services by finding your company through organic results than paid ads. This form of campaign is highly targeted too. SEO allows you to utilize keyword analysis so you can find out just how big the market is or how many people are searching for an exact keyword.